Can I Apply For A Credit Card After Bankruptcy? Bankruptcy has helped countless people throughout Utah resolve their overwhelming debt problems. Whether you have filed for Chapter 7 or Chapter 13 bankruptcy, it can help those in debt get a fresh new start on their finances. Bankruptcy has helped countless people throughout Utah resolve their overwhelming debt problems. Whether you have filed for Chapter 7 or Chapter 13 bankruptcy, it can help those in debt get a fresh new start on their finances. But if there is a drawback, it can significantly hurt a person’s credit score. Once someone has filed for bankruptcy, it can become more difficult to purchase a house or a car. However, it does not mean they are shut off from new credit. Fortunately, there are several factors that can help those after bankruptcy gain new credit. They include your level of income along with the amount of time since your bankruptcy was resolved. Not all credit card providers utilize the same policies. Some have very strict standards when it comes to new applicants. For example, the signup page for the Capital One Secured Mastercard explicitly states applicants with an unresolved bankruptcy are ineligible. Many other credit card companies are often vague about their approval policies. Unfortunately, the majority of applicants do not find out whether they have been approved until after applying for a credit card. During the application process, some credit card companies will conduct a hard credit pull, which can lower further lower your score. Many credit card providers also have very complex guidelines when issuing a card. Many of these guidelines go beyond a person’s credit score or having a bankruptcy that was resolved several years ago. If you have filed for bankruptcy in the past, you want to be careful about which type of card to enroll. One of the best choices is to enroll for a secured card, which is specifically designed for those trying to improve their credit score. Secured cards have several different features from typical credit cards. For example, applicants will have to put down a security deposit. In most cases, the deposit is equal to the available line of credit. The purpose of the deposit is to protect credit card provider should the cardholder fail to make their payments. In most cases, credit card companies will not deny applicants who have filed for Chapter 7 or Chapter 13 bankruptcy. But not all cases are the same. If an applicant has reason to believe they will be denied a secured card due to a recent bankruptcy, it may be a good idea to get one issued by a credit union. Many people who have completed the bankruptcy process often get bombarded with credit card offers in the mail. Creditors often target these people because they are considered a better risk than most applicants. Another reason is those who have gone through bankruptcy are not eligible to file again for seven to ten years. 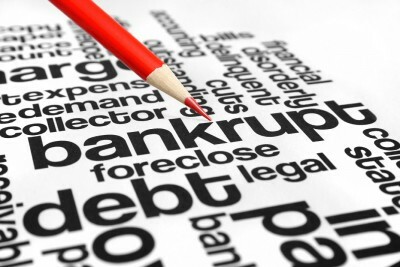 Contrary to popular belief, filing for bankruptcy does not disqualify someone from obtaining credit. But keep in mind, new credit card offers for those who have completed bankruptcy typically include low limits and high interest rates. Should you choose to apply for credit card, select wisely. Attorney Justin M. Myers understands the challenges and obstacles facing those who struggle with crippling debt. He and his legal staff utilize a comprehensive and personable approach to help clients resolve their debt issues. Whether you qualify for Chapter 7 or Chapter 13 bankruptcy, contact his Salt Lake City law office today and schedule a consultation to discuss your case.